Garbage Container Rental Made Easy in Pasco and Tampa! Garbage container rentals fulfill the requirement for effective waste-management but come with their fair share of hassles. Getting your hands on the container rental is by itself a bothersome task. You can’t even get in touch with the vendor directly. After that comes another round of hassle when you want a garbage pickup. At Best Price Dumpster Rentals, garbage container rentals are a direct commodity delivered straight to the user. We don’t allow delays, communication gaps, or false advertising at our waste management company in Pasco, FL. Zero Brokers and Zero Bureaucracy: Get fully transparent dealings from dumpster rentals to garbage removal. Call us today at 8134377547 and schedule your first dumpster rental with the help of our waste management experts. Instant Free Quote for Your Garbage Container Rental: Tell us more about your dumpster requirements. We needed to know the size and expected the weight of garbage for your garbage container. If you don’t know what your exact requirements are, our waste management experts can help you out. Timing is Crucial: Create your schedule for your temporary garbage container drop-off. We can install it even without you present on site. You can also plan a replacement dumpster of time to cut down on any time lags. When we pick up your trash, we will install the replacement directly. Leave the Rest to Us: Your end of the entire transaction ends with the last step. If you fill up your dumpster ahead of time, you can rent another one the very same day. Our service experts can handle all your garbage container rental requests. Rent large garbage containers in Pasco, FL for your garbage disposal projects. You can even remove construction debris using our dumpster rentals. Technically, you can use our dumpster rentals to get rid of all kinds of junk apart from toxic waste. At Best Price Dumpster Rentals, we offer several options for garbage container rentals in Pasco, FL. Just describe your project to our service executives and waste management experts to get the best size fit for your dumpster rental requirements in Pasco, FL. Professionalism is one of the critical metrics that bring us more clients. A professional outlook translates to happy clients, which means more referrals and reorders. 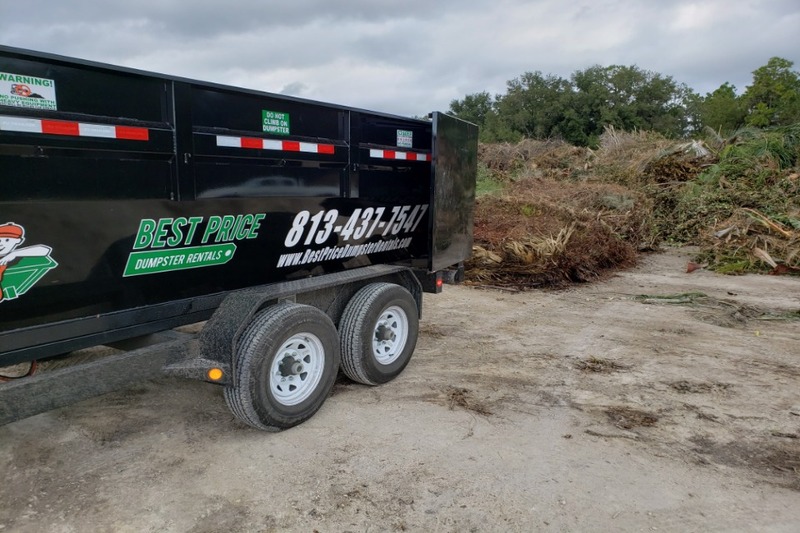 At Best Price Dumpster Rentals, we can offer on rent, large garbage containers for commercial cleaning and construction projects in Pasco, FL as well. Our garbage bins come in many sizes and are tailored to suit specific projects. Residential garbage container rentals are always in high demand with our customers in Pasco, FL. We realize that no one in Pasco, FL wants to take on the extra hassle of getting rid of their junk. We can offer you a quick, efficient, and hassle-free solution to all your waste removal requirements in Pasco, FL. 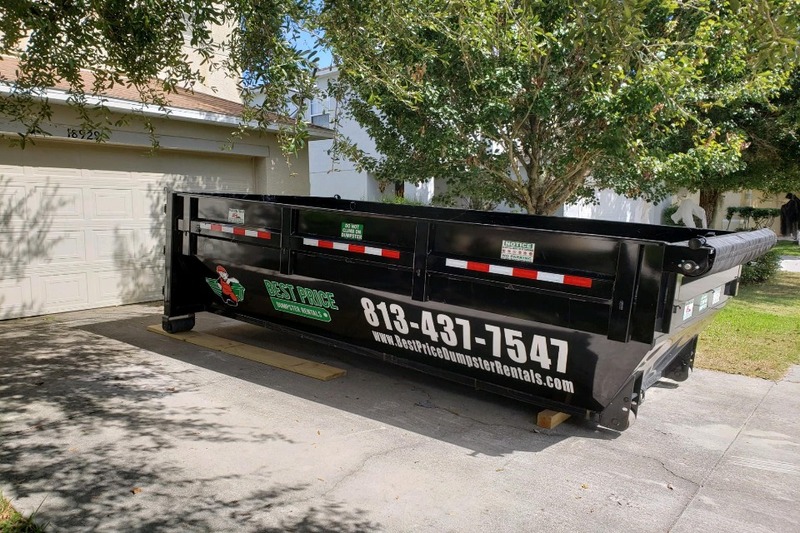 Garbage Container Rental from Best Price Dumpster Rentals in Pasco, FL Clears Any Big Mess! At Best Price Dumpster Rentals, we make it simple to get garbage containers of any size for rent. You can clean up any mess you need to in Pasco, FL. Our strong work ethic and quick delivery will support you all the way. Incredible Pricing – Not a lot of waste management companies in Pasco, FL can offer pricing as we do. We make dumpster rentals affordable enough for everyone to use in Pasco. We provide special dumpsters for household purposes and larger ones as construction garbage containers. Hassle-Free Garbage Container Rentals – We guarantee that our dumpster rental services in Pasco, FL will leave you completely satisfied. You get a wide array of choices in garbage container rentals. To top it all off, you get expert help in choosing your dumpster. No Availability Issues– At Best Price Dumpster Rentals, we have no issues with availability of dumpster rentals in Pasco, FL. Every time we rent out a dumpster, we have an exact schedule with us. As a result, we can calculate everything we need to for the rental service. Executional Excellence – We can offer outstanding excellence across the board with all our waste management services in Pasco, FL. We have some really great service executives and waste management experts on board who know exactly how to get things done. Need Garbage Container Rental in Pasco, FL? Starting from the construction garbage container, we offer a wide variety of rental options for waste bins. 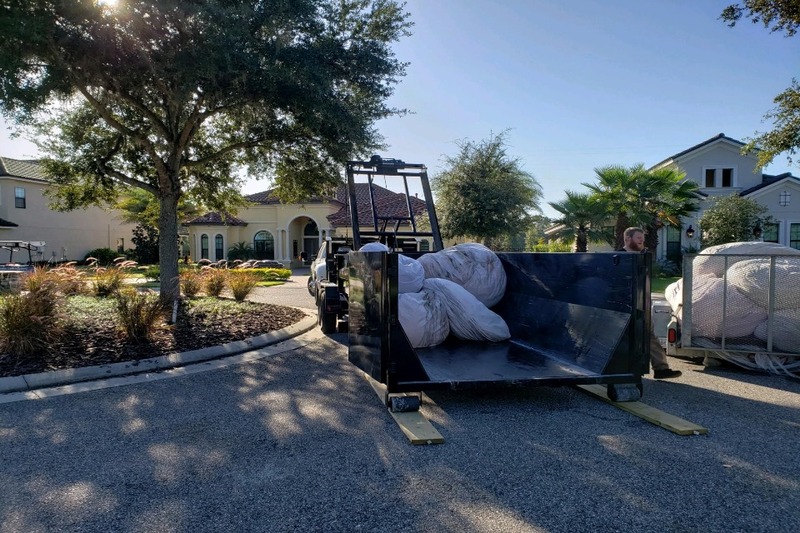 You may need to rent a large garbage container in Pasco, FL for either yard waste disposal or construction debris disposal. No issues – our waste management experts at Best Price Dumpster Rentals have you covered. Are these temporary garbage containers? 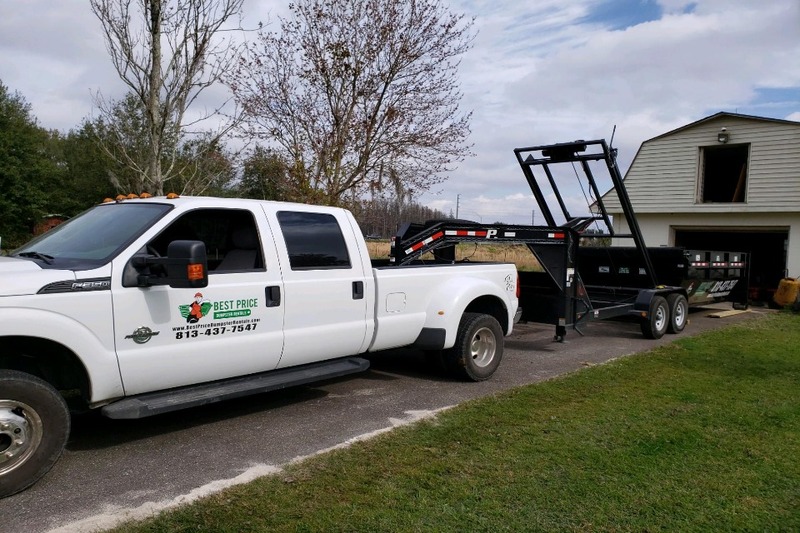 That is precisely what we provide – temporary garbage containers that you can use to put away your junk until we clear it out and install a replacement. Is this a subscription model? Our business is not exactly a subscription model business. If you need dumpster rentals that need to be replaced continuously, then you can schedule a substitute rental ahead of time. There are no obligations to rent your dumpster for any longer than you need to. How do I get the garbage container replaced? You can schedule the garbage container replacement ahead of time. 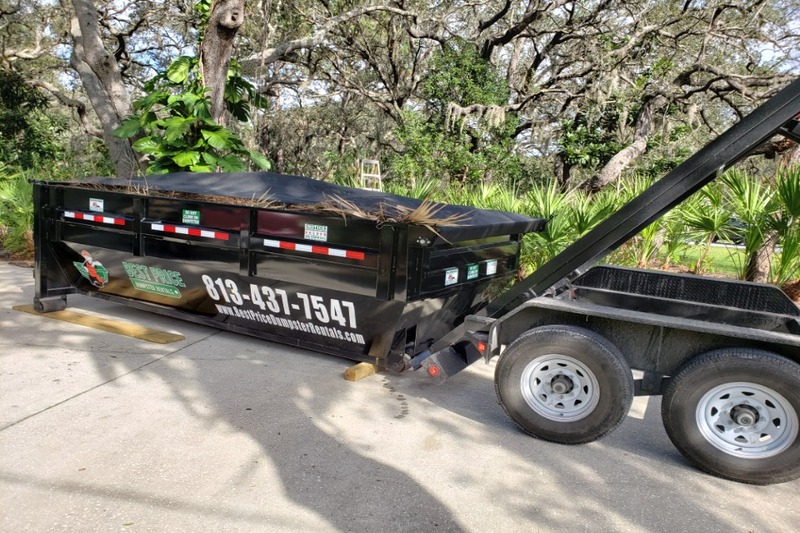 You can call anytime at 8134377547 to get a new dumpster delivered to your doorstep in Pasco, FL. What is the largest size dumpster rental that you provide? 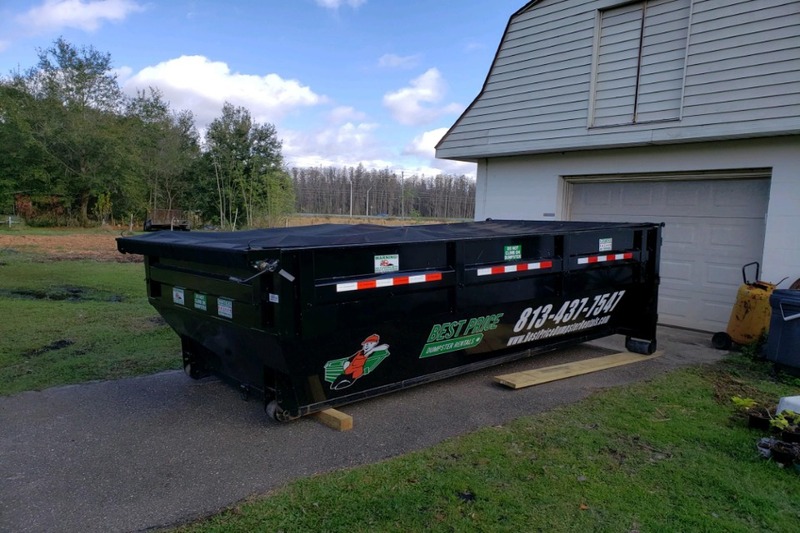 The most substantial size dumpster that we provide at Best Price Dumpster Rentals in Pasco, FL is the 40 cubic yard dumpster. Its measurements are 20’ X 8” X 8”. What is the smallest size dumpster rental that you provide? The smallest size dumpster that we provide at Best Price Dumpster Rentals in Pasco, FL is the 10 cubic yard dumpster. The measurements are 15’ X 8’ X 3’. Garbage Container Rental in Pasco, FL from Best Price Dumpster Rentals Is An Easy Process - Contact Us Today! container in Pasco, FL today and get the best offers available.